Have you ever wanted that LED light to dim? It does not matter how old you are, we are all surrounded by electronics and their tiny LED lights. If you have had eye surgery like Lasik, halos can be annoying at the very least or painful, making the eyes sensitive to light. Cataracts or any issue with your eyes can give you an increase in light sensitivity. 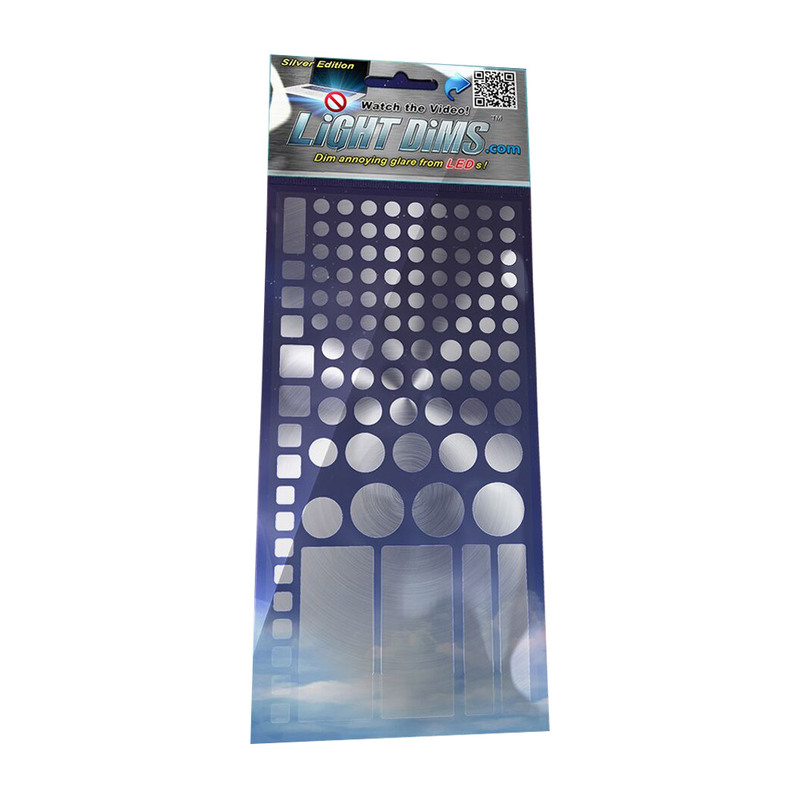 If you feel like you are being bombarded with bright LED's, Light-Dims Light Dimming Sheets can help. Each package comes with over a hundred dims. 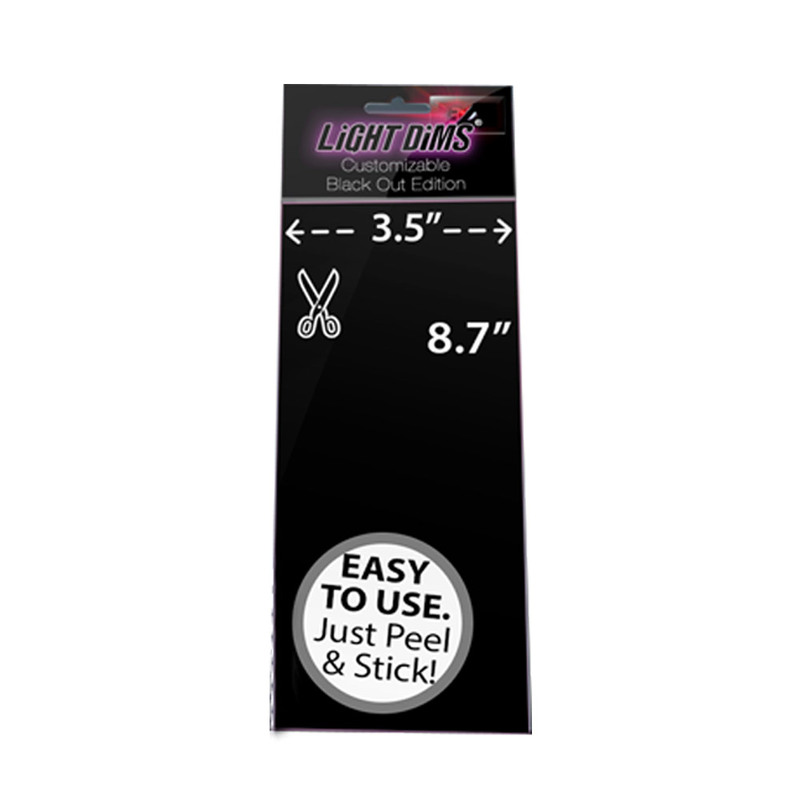 Original Strength LightDims dim approximately 80% of light.LightDims themselves are tinted black yet still transparent. Everyone loves LightDims Original Strength but some people need something stronger. 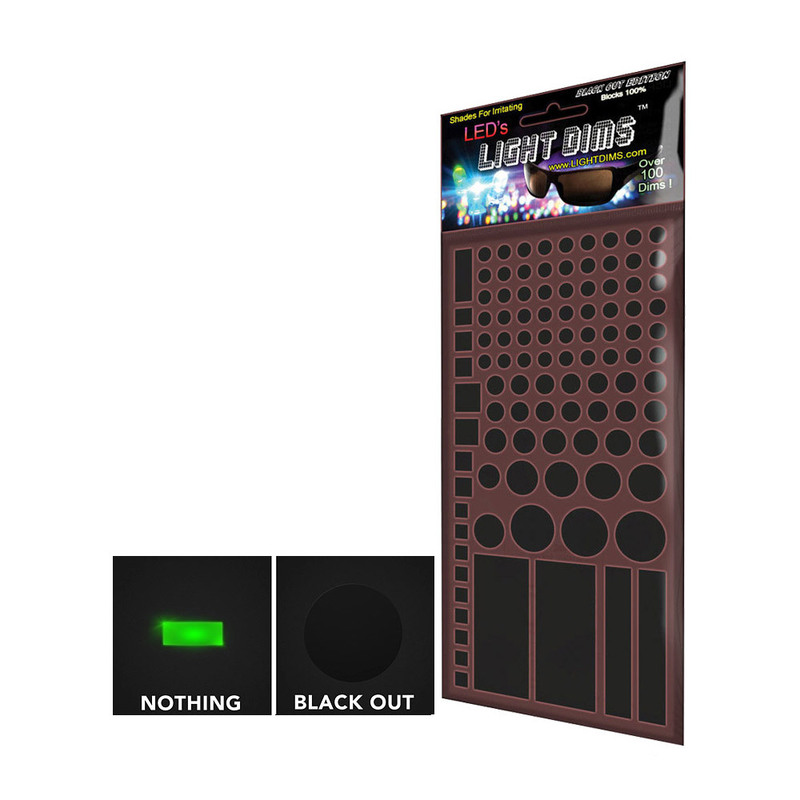 Black Out Edition LightDims block 100% of light. Each package comes with over a hundred dims. LightDims themselves are tinted black yet still transparent. Silver Edition LightDims blend well with Apple products. The Mac Book Pro has a pulsing LED. LightDims Silver Edition dim the pulsing Mac Book Pro LED to a comfortable level and compliments Apples professional look by closely matching Aluminum. Silver Edition is not limited to Apple products, anything tin, or metallic looking can benefit from the lustrous look of LightDims Silver Edition. 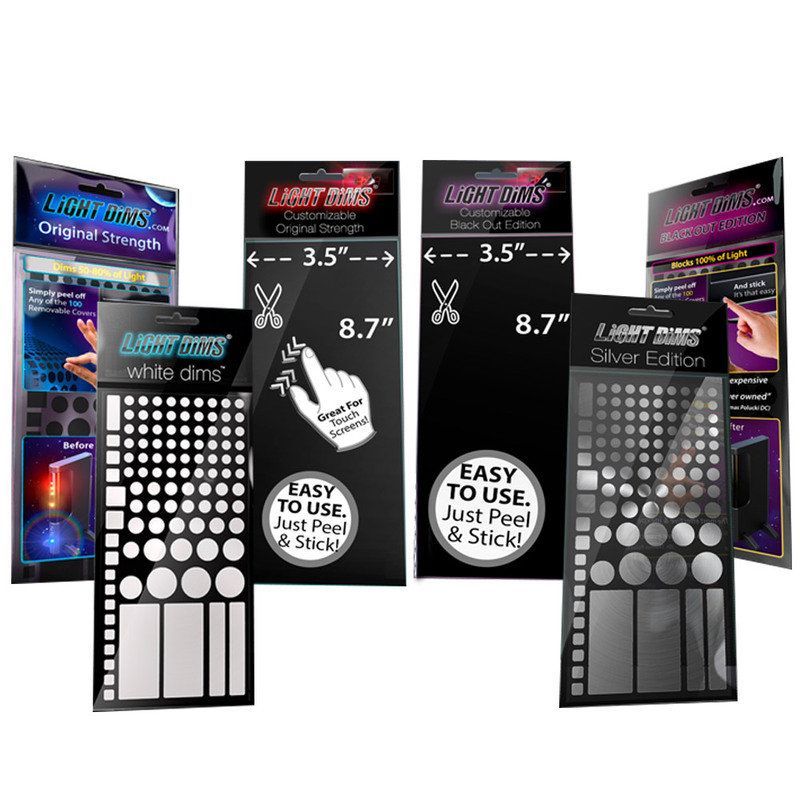 LightDims Silver Edition allow you to continue to view the light without flare and glare at a reduced brightness. 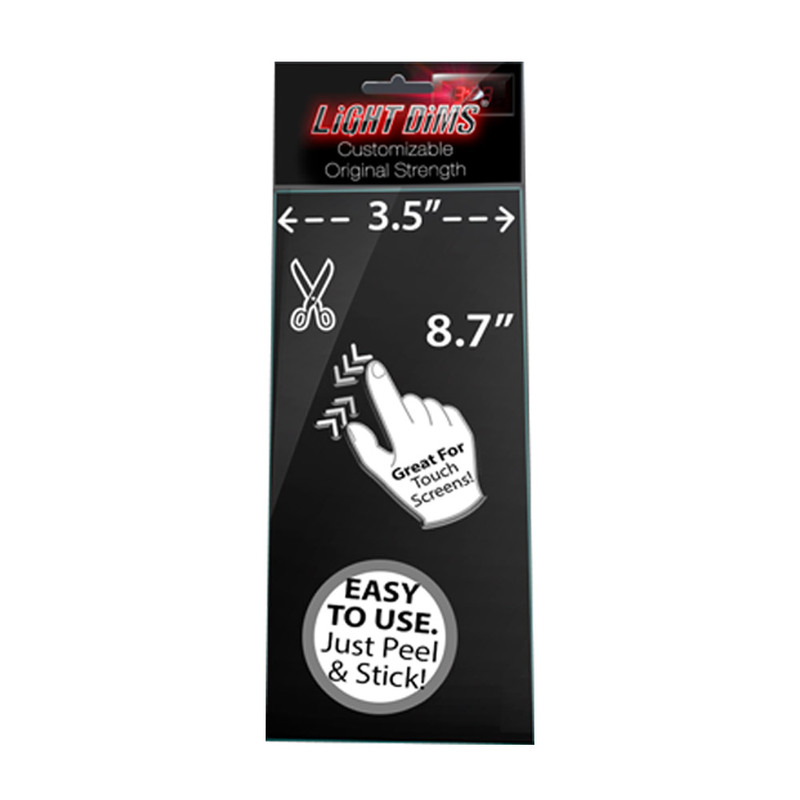 Easy to use, just peel and stick, Includes retail store packaging. WhiteDims are the perfect solution to dim/soften overhead ceiling lights without making the room dark. If the lights are still too bright simply add another layer of White Dims. 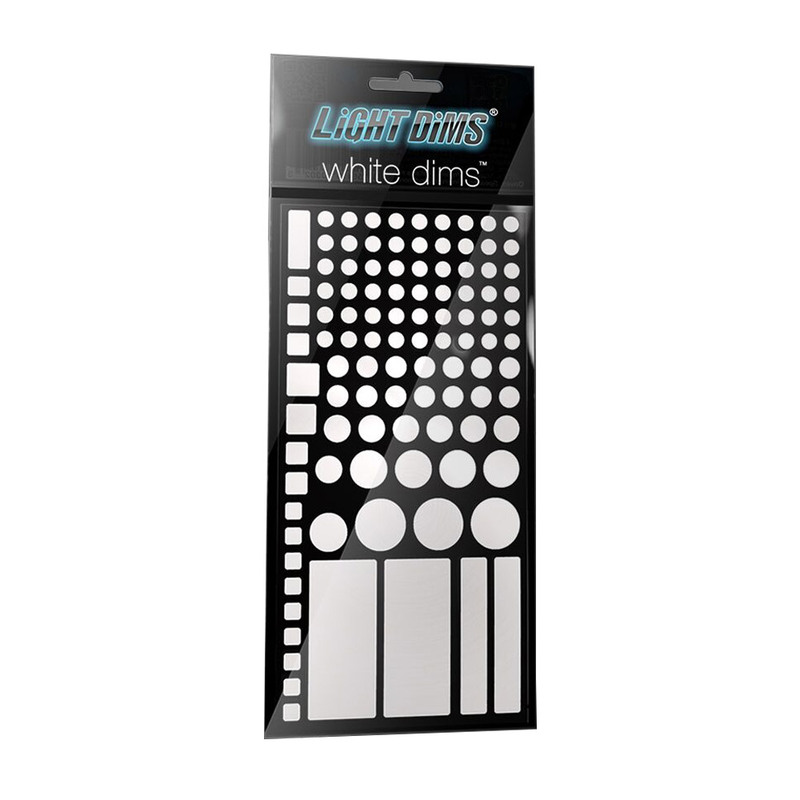 White Dims LightDims diffuse / soften harsh LED light and blend well with White Electronics, such as Baby Monitors, and Smoke Alarms. Dim 15-30% of light from annoying bright LEDs on electronics and appliances in the home, office, or car. Easy to use, just trace, cut, peel and stick. Self-Adhesive does NOT leave any sticky residue when you remove them. 2 sheets of 9cm x 22cm LightDims White Dims allow you to continue to view the light without flare and glare at a reduced brightness. LightDims Customisable Black Out Edition Blocks 100% of light. The medium sized sheet is approximately the size of a number 10 envelope but can be cut to any size or shape. 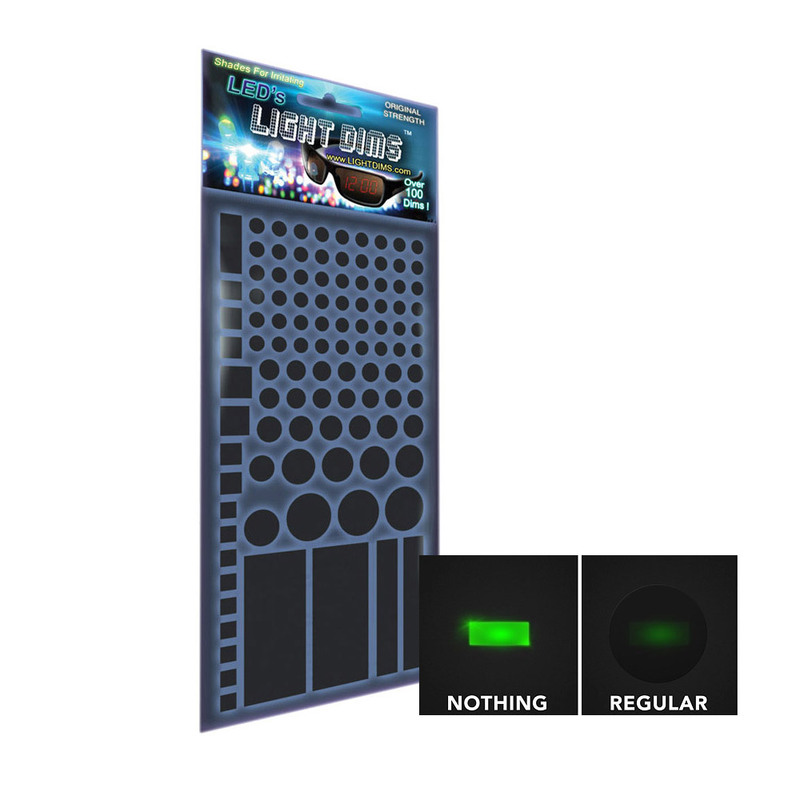 LightDims themselves are dark black and colorless. Contains 1 black colored 3.5" x 8.7” Medium sized sheet you can cut to size. Blocks 100% of annoying bright LED lights on electronics and appliances in the home, office, or car. 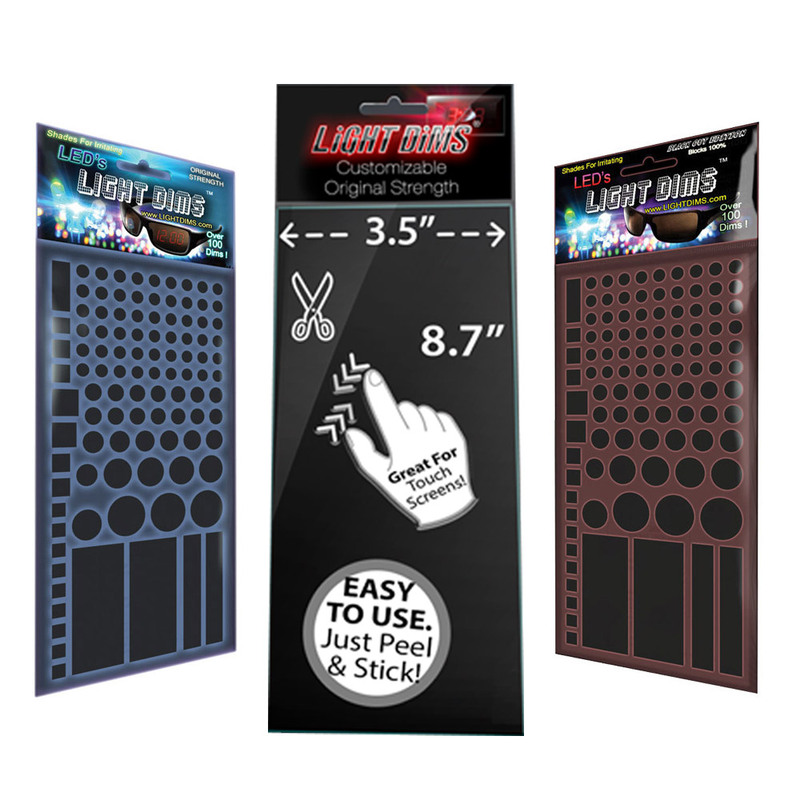 Receive all three packs of LightDims to cover all your appliances.This pack includes the Original LightDims, the Original Strength Customisable Edition and the Blackout Edition. Each can suit different appliance lights in your home or office and help you work or relax without irritation. Dim or block annoying LED lights on electronics and appliances in the home, office, or car. Jason Michael Hampton Invented LightDims aka Light Dims out of necessity because of the side effects he experienced from Lasik Eye Surgery. Jason also worked in dark edit bays and offices around large amounts of electronics. Over the years Jason Hampton realized that ubiquitously, LED's were in all homes and offices causing people pain and irritation or loss of sleep just as he had experienced. Jason searched for a solution that was both practical and aesthetically pleasing but after searching he realized he would have to create this product himself because it did not exist yet.